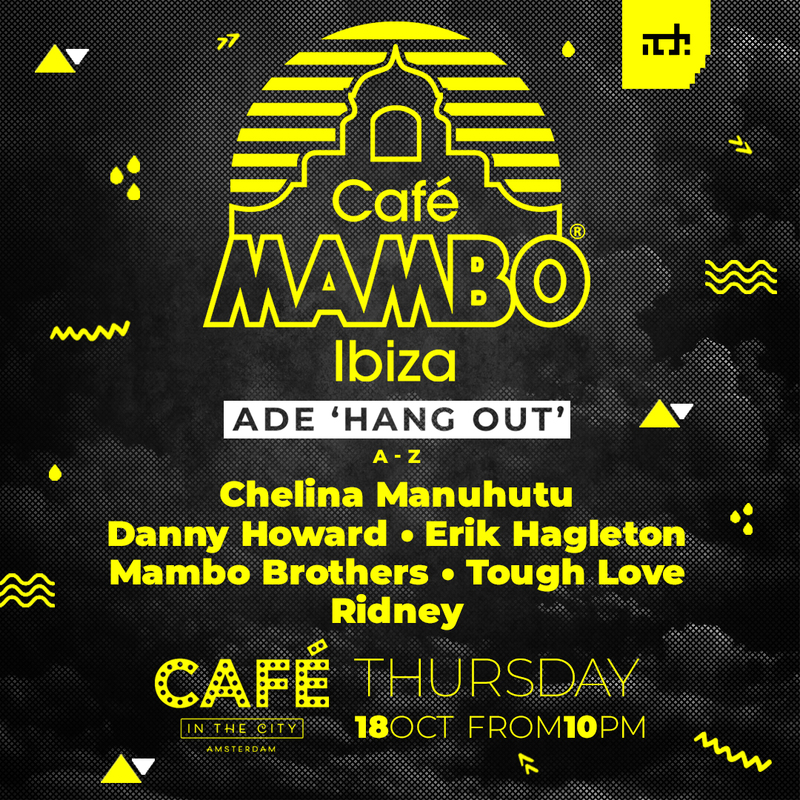 Café Mambo will bring the Ibiza Vibes to Amsterdam for a special ADE Hang Out During Amsterdam Dance Event. The event will take place right in the center of Amsterdam on the famous Leidseplein and will feature Mambo Brothers, Danny Howard, Chelina Manuhutu, Erik Hagleton, Though Love & Ridney. See you at Cafe in the City on October 18th!